Jacksonville Jaguars running back Leonard Fournette was arrested on Thursday in Jacksonville for a traffic violation. The 24-year-old LSU product was charged with knowingly driving while his licence was suspended. He was released after posting bond. The charge stemmed from an unpaid parking ticket from last November. The team says it was aware of the arrest and released a brief statement. 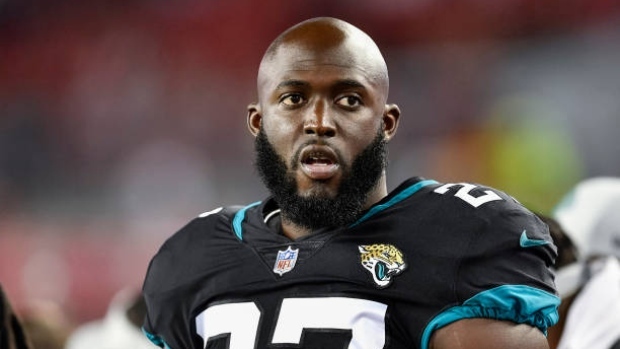 "The Jacksonville Jaguars are aware of the situation involving running back Leonard Fournette and are continuing to gather more information," the statement read. "No further comment will be provided at this time." A native of New Orleans, Fournette is heading into his third NFL season after being taken with the fourth overall pick of the 2017 NFL Draft. He appeared in eight games for the Jags last season, rushing for 439 yards and eight touchdowns.